Lock in a great price for Sa Pedrissa – rated 9.3 by recent guests! The location (near Deia but not In The middle of Deia where it is really touristy) was extremely relaxing and the property is exquisite. We stayed in one of the newest rooms (#10) that had a view of the sea and it was spectacular! Exceptionally nice Pool as well. The view, the property and the personell was fantastic. Excellent food, location and very helpful service. Room number 10 underneath the swimming pool is amazing! The location was great, the grounds were great, breakfast was lovely. The building was beautiful. Coffee machine in the room was really good. And the room size was very nice. Idyllic location, beautiful villa, manicured grounds, great restaurant and a wonderful staff make this hotel prime. Without question, one of the nicest properties on the island. Beautiful surrounds and view. Lovely polite staff and service. Delicious food !! Absolutely everything, perfect location, wonderful breakfast, breathtaking view and extremely nice staff. I liked the atmosphere and decor in the dining room and the quality of furniture, furnishings and linens through out. This is a lovely place to stay in a stunning location. The staff were all delightful. The rooms are charming and maintained to a high standard. A beautiful pool with fabulous sunbeds. Everything was beautiful in the hotel. We had a lovely suite with great sea views. Only problem was the very heavy rain first two days meant that the wifi didn't work in the bedroom and they seemed unable to fix it once weather improved so quite annoying. Also lights down the path to the room which was away from the main hotel didn't work either and again they didn't fix them even though we asked each day. Quite dangerous walking back in the dark and rain. No torch was supplied either although there was an umbrella! Dinner was good too on the one night we ate in and the staff were very pleasant and tried to be helpful. Sa Pedrissa This rating is a reflection of how the property compares to the industry standard when it comes to price, facilities and services available. It's based on a self-evaluation by the property. Use this rating to help choose your stay! 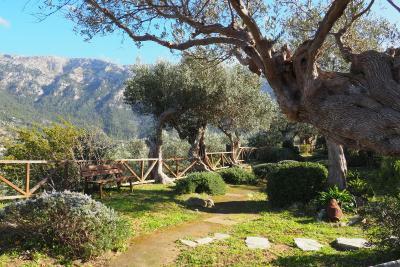 One of our top picks in Deia.This small romantic hotel is set in a renovated country house dating from the 17th-century, still retaining many characterful original features. To these have been added luxury features to enhance your stay. 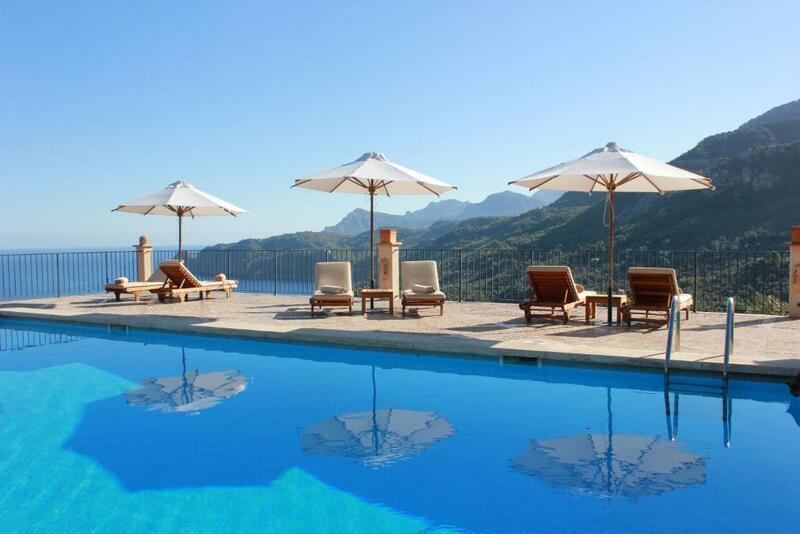 Once the Majorcan home of Archduke Louis Salvador of Austria, this designated Site of Historic Interest has been updated to include a wonderful outdoor swimming pool, which falls away to reveal to stunning views along the northern coastline. Away from the pool you are able to stroll through the lush, colorful gardens and sea-view terraces which surround the house. When would you like to stay at Sa Pedrissa? Double rooms come with either mountain or sea views. They have a private bathroom with either a bath or shower. Decorated in a characteristic Majorcan style, this suite offers sea and mountain views. There is a terrace and separate living area. The bathroom has a bath or shower. Includes a large living area, separate bedroom and spacious bathroom with spa bath and walk-in shower. This double room has a sea view, iPod dock and cable TV. House Rules Sa Pedrissa takes special requests – add in the next step! Any additional adults are charged EUR 95 per night for extra beds. Sa Pedrissa accepts these cards and reserves the right to temporarily hold an amount prior to arrival. The restaurant needs improvement. The food is good, but scarce, and overpriced. Service is not good. Delivery of dishes takes too long. Location and facilities first rate. There were approximately 600 channels on the tv in my room but not one from the UK - as I was travelling alone I would have enjoyed having the option to watch some tv in the evenings. The hot water in the bathroom was not very hot even at the max temperature. The only other point that might be worth sharing is that my stay was quite late in the season and at this time there was no restaurant service on Sundays. I would recommend having a car - it is not possible to safely get anywhere by foot. Slow internet, our room had window directly to the highway just 15 meters away. Reception was polite but not more. Overall price-quality ratio for our room at least is doubtfull, that room must cost less. Old charming building, view from restaurant, wild walking route to Soller, interior design, size of the room. Due to very limited choice of hotels in Deia, you have to pay attention to this hotel despite some contras. Bedroom was dark and a bit dingy, with very frumpy furniture. The mattress on the bed was seriously under-par, with 4 or 5 sheets on top of it, including one rubber sheet that made the bed feel damp. Not what you expect in a 4* hotel. Really cute finca near to Deia. Staff really charming and helpful. View from pool into the valley is stunning. We had a problem with locking a door and the air conditioning 1 night. Both dealt with by staff as soon as they were notified. More could be made of the walking routes and trails by providing written details as well as a map. The views are breathtaking and the gardens a pleasure to sit and stroll in. 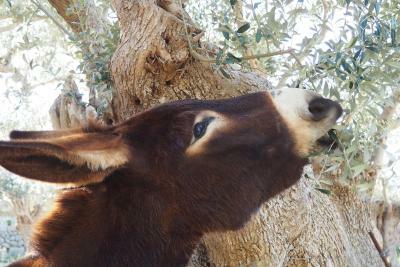 We asked to take away some orange marmalade from the property and the staff were more than happy to oblige.